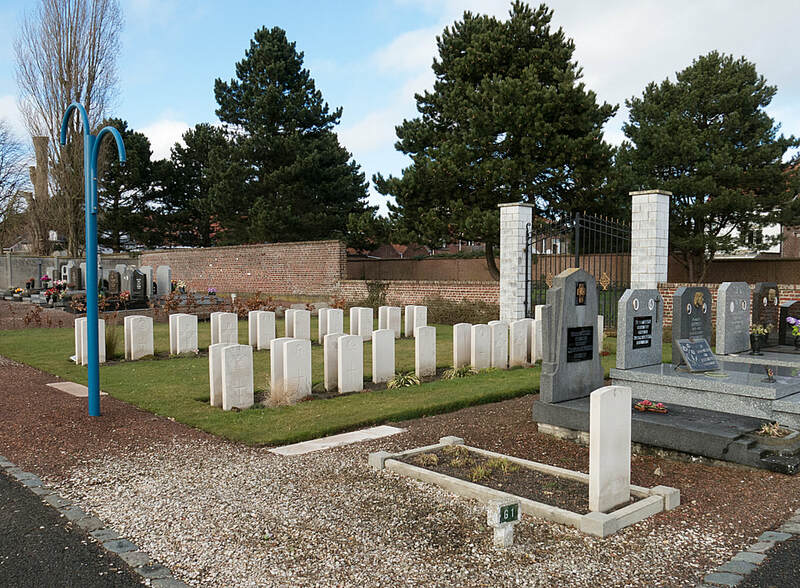 Halluin is a town on the France/Belgium border to the north of Lille. 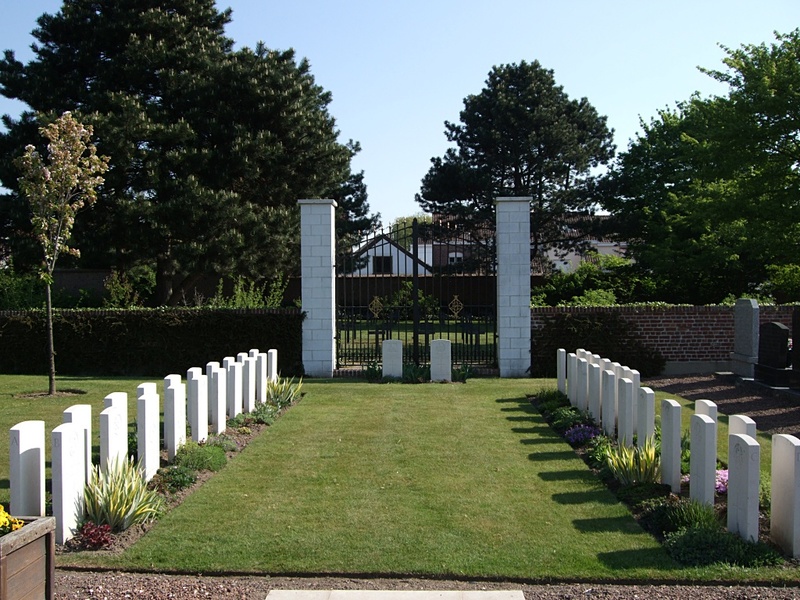 Halluin Communal Cemetery lies in the south-east corner of the town and can be found by following the signs for the German war cemetery. 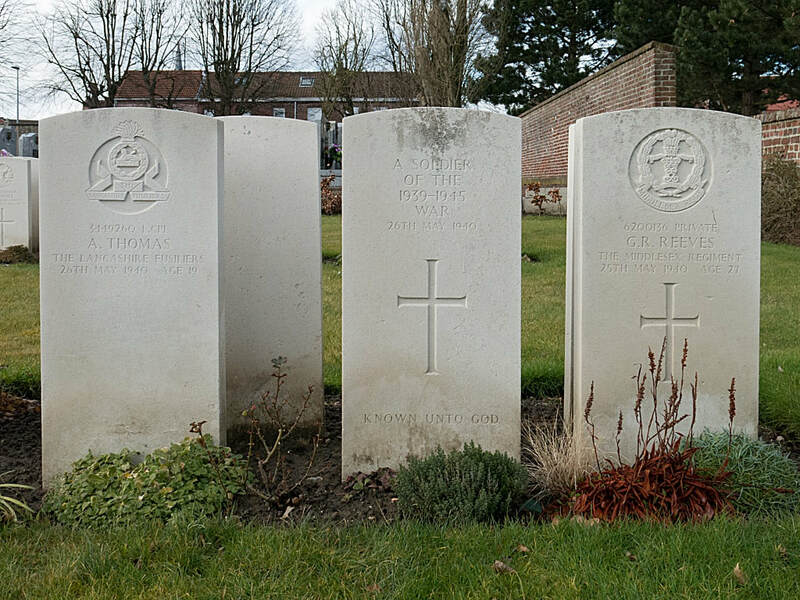 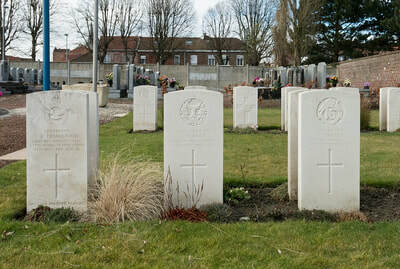 The Commonwealth War Graves plot is situated in the far left hand side of the cemetery. 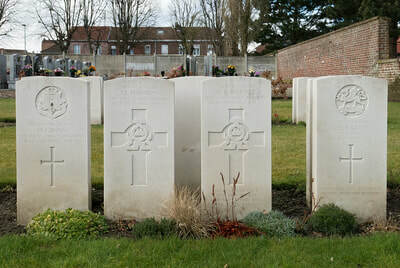 The Communal Cemetery was used by the Germans, and extended to the North-East. 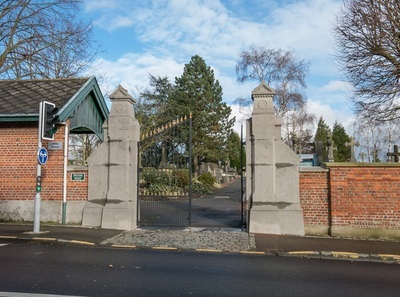 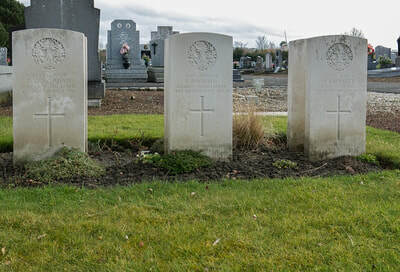 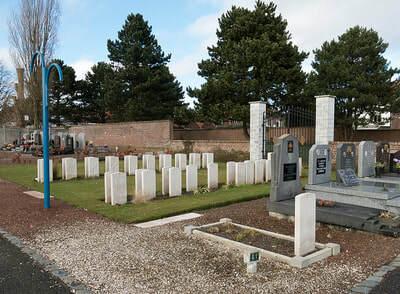 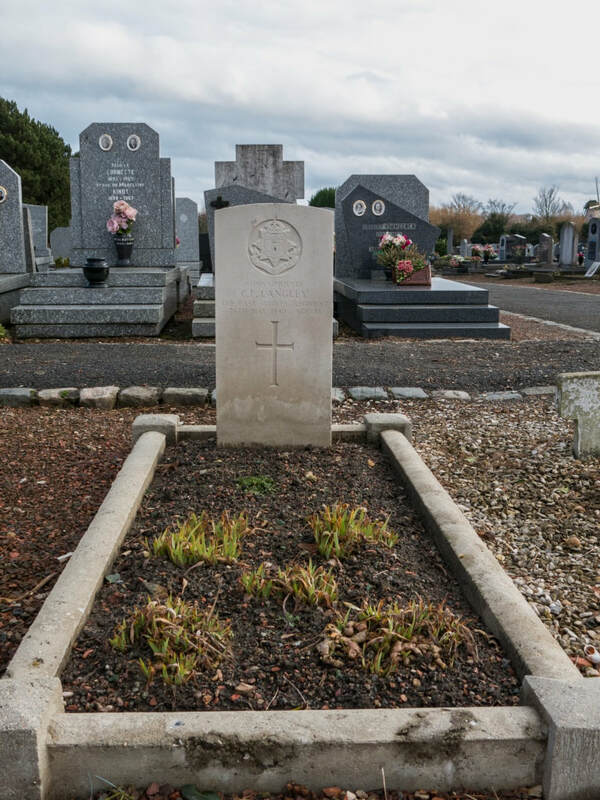 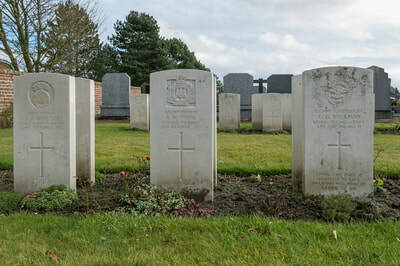 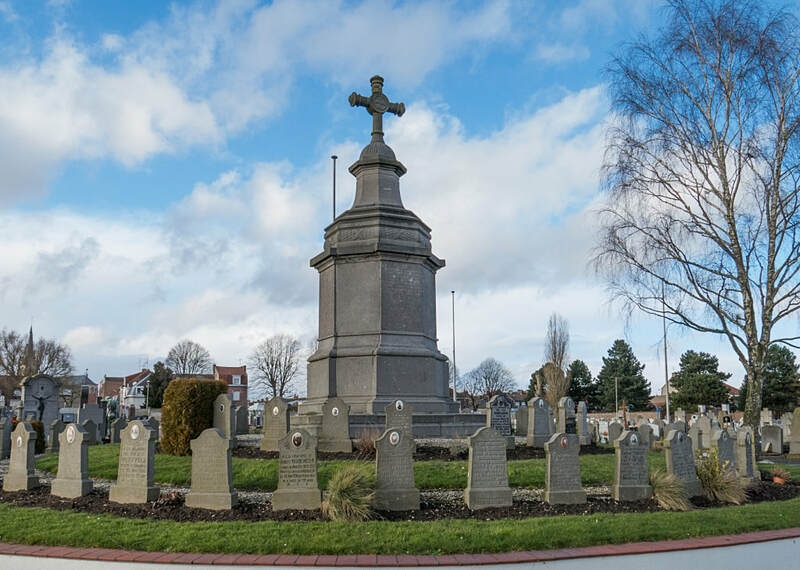 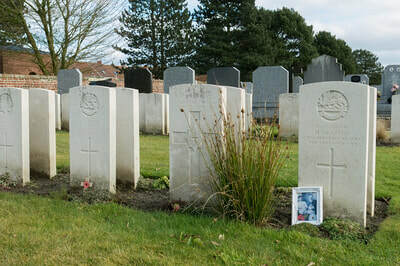 The German graves in the Communal Cemetery were removed to the Extension after the Armistice; the British graves from the Extension were taken to Pont-du-Hem Military Cemetery; and the British graves in the Communal Cemetery were regrouped near the North corner. There are now over 30, 1914-18 and a small number of 1939-45 war casualties commemorated in this site. 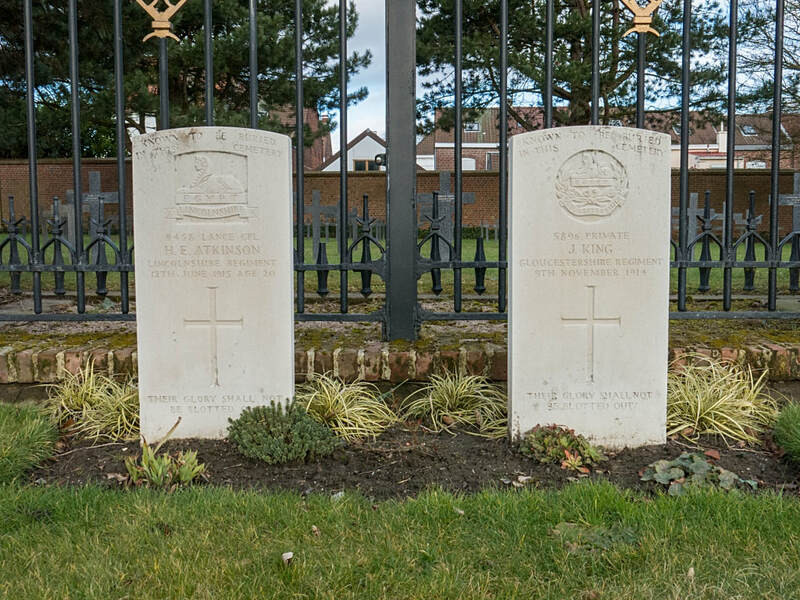 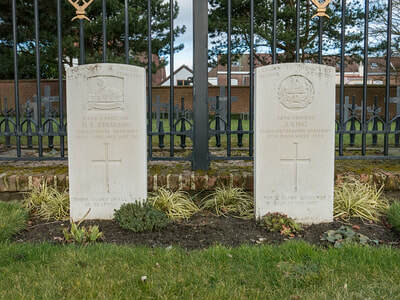 Two graves from the 1914-18 War, destroyed by shell fire, are now represented by special memorials.